The central conceit of Jo Clifford’s new play is an interesting one. Two influential figures from 18th century Scotland find themselves in early 21st century Edinburgh, surveying the world they helped create. The witty lines flow thick and fast, as philosopher David Hume and founder of free market economics Adam Smith awake from their deathly slumbers and question their re-birth. Actors Gerry Mulgrew (Hume) and Neil McKinven (Smith) instantly draw us in with their conviviality and comic timing, aided by Ben Harrison’s astute direction. So far, so innovative. But as the play unfolds, Clifford’s sparkling intellectual wordplay edges closer and closer to cliché and generalisation. Joined by 21st century Scottish everywoman, Eve – also back from the dead – Hume and Smith discover the humanity they played a part in shaping. And why wouldn’t he? Clifford paints the world we live in with broad strokes, giving scant regard to the wonders of modern life, our enormous capacity for love and the regular displays of tenderness Smith mourns. Instead she points out the pitfalls of 21st century life few, if any of us, hadn’t already noticed. 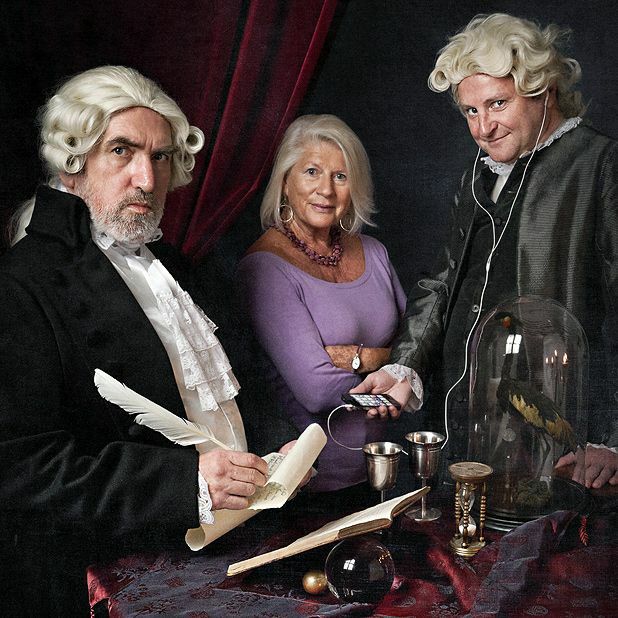 Traverse stalwart Jo Clifford (Losing Venice, Light in the Village, Every One) presents a major new work in which David Hume (played by Gerry Mulgrew) and Adam Smith (Neil McKinven) awake in present-day Edinburgh and react with joy and horror to the way their Enlightenment world has developed. Suitable for ages 14+.